Pretty cool to see Guy Cooper in a video. I had posters of him on my wall when I was a kid, and a T-shirt with him throwing a mean whip on the Suzuki you see in the background while they are talking, in like 1988 or something. haha. Ever wonder what it would be like if Brett Cue rode a vintage bike? How about what Guy Cooper was up to these days? Or maybe you want to know what was going on in Jerry Robin’s head the weeks leading up to Loretta Lynn’s? Sometimes you just need to answer questions like these all at once. 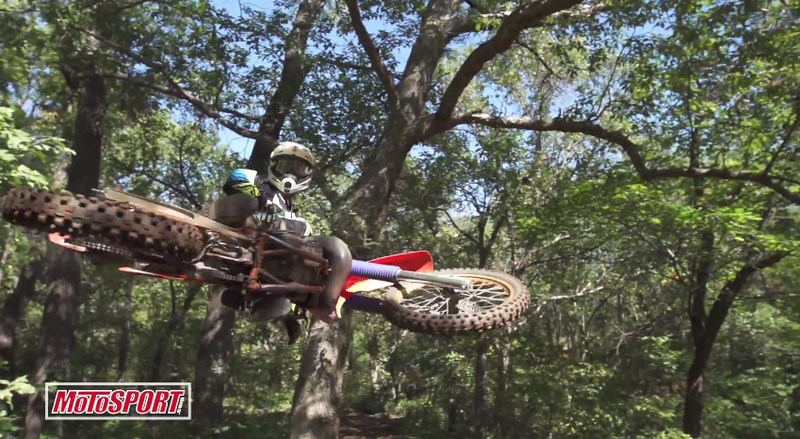 Sit back and enjoy as Brett, Jerry and Guy shred some Oklahoma red dirt on vintage bikes!